Once you have the image, you click on it to select it (you’ll see a checkbox), you then click the Select button. You now have added the main image to you recipe. 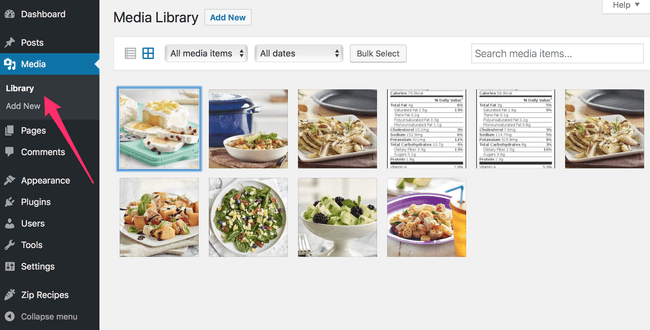 Many food bloggers like to incorporate pictures into their step-by-step recipe instructions (some of you also like to include pictures within their ingredients list). 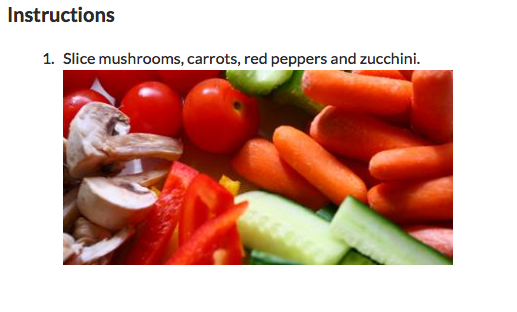 Slice mushrooms, carrots, red peppers and zucchini. There are certain recipes that have a secondary recipe, like a salad and salad dressing. 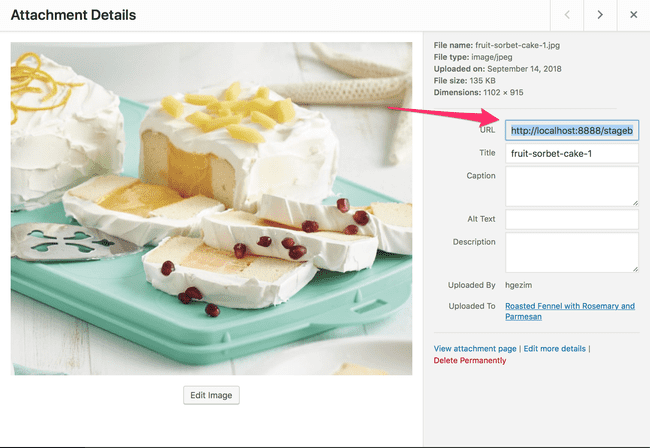 The Zip Recipes enables you to create labels to let readers know which steps are for which recipe. Simply enter your instructions for the main recipe, then start the next line with an exclamation point to create a label for the secondary recipe, like !For the Salad Dressing. Then, add the instructions for the secondary recipe. In a medium bowl, blend together oil, vinegar, sugar, paprika and poppy seeds. Pour over spinach and strawberries. Toss to eat. 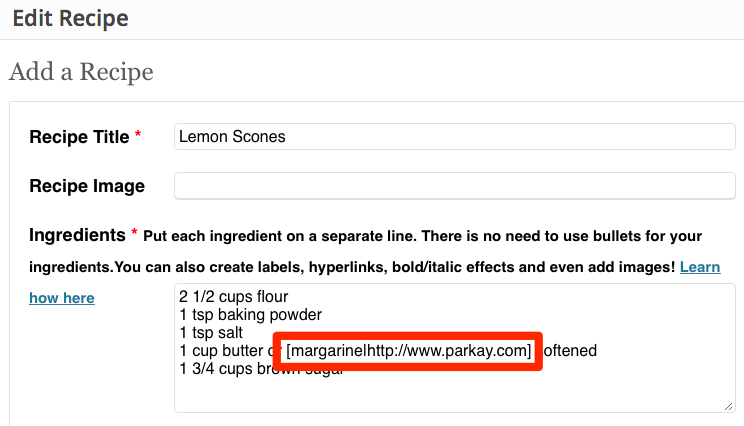 Zip Recipes makes it possible to bold or italicize words or phrases within the Ingredients, Instructions and Summary sections. 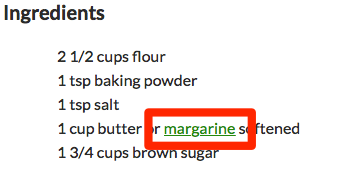 Simply type in your recipe as you normally do, but for bold, enclose the word(s) in asterisks. For italics, enclose the word(s) in underscores.